It’s been a long time coming, but Netflix has finally put an end to its relationship with Marvel. It’s been a messy breakup, with Daredevil, Luke Cage, The Defenders, and Iron Fist all caught in the crossfire over the last four months. It is now being reported that we will not be receiving a season 3 of The Punisher, while Jessica Jones will be given the chance for a big send-off before suffering a similar fate. That’s right, Jessica Jones and The Punisher have been cancelled by Netflix. While it had been long rumoured that The Punisher was going to be cancelled as Marvel looked to put an end to its long-running deal with Netflix, many fans were hoping that there would in fact be more to come after The Punisher season 2. Still, Marvel later confirmed the news in a statement to Deadline, noting that “Marvel’s The Punisher will not return for a third season on Netflix” before celebrating those that had worked so diligently on making the show a success. 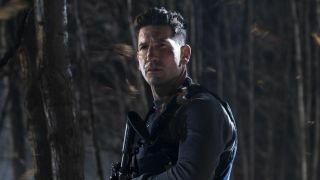 “Showrunner Steve Lightfoot, the terrific crew, and exceptional cast including star Jon Bernthal, delivered an acclaimed and compelling series for fans, and we are proud to showcase their work on Netflix for years to come,” a spokesperson for Netflix added, confirming that the suite of Netflix shows will continue to exist on the platform for some time yet. This is a particularly bitter pill to swallow, given that Krysten Ritter is undoubtedly (and okay, yes, my bias is showing here) one of the very best castings to come out of Marvel’s forceful push into the realms of entertainment, starting back in 2008 with the release of Iron Man. Jessica Jones season 3 is still in production, though it is now expected to air later this summer. Ritter addressed the cancellation of Jessica Jones on social media, noting that she was "so grateful for every second of it. We have THE BEST fans. You guys mean the world to me and I appreciate you beyond words. The final season of Jessica Jones is coming later this year and I am proud of how we complete JJ’s journey. I can’t wait for you all to see it. Stay tuned and more to come." You can read her full post on Instagram here. Still, the cancellation of The Punisher and Jessica Jones puts an end to an inconsistent but often brilliant collaboration between the two creative houses. The deal, established back in 2013 with the announcement of four series and a The Defenders limited series, has given us some truly fantastic seasons of content and the opportunity to live with some truly wonderfully well realised characters. This news is disappointing, but it isn’t particularly surprising given that Disney is establishing its own streaming service, Disney+, which is set to launch later this year. Whether Marvel will invest in all new shows for the upcoming platform remains to be seen, but it seems likely that Bernthal and Ritter – like Charlie Cox, Mike Colter, and Finn Jones before them – will now have to say goodbye to these characters, forever. Why not find something new on Netflix while you’re waiting for season 3 of Jessica Jones?